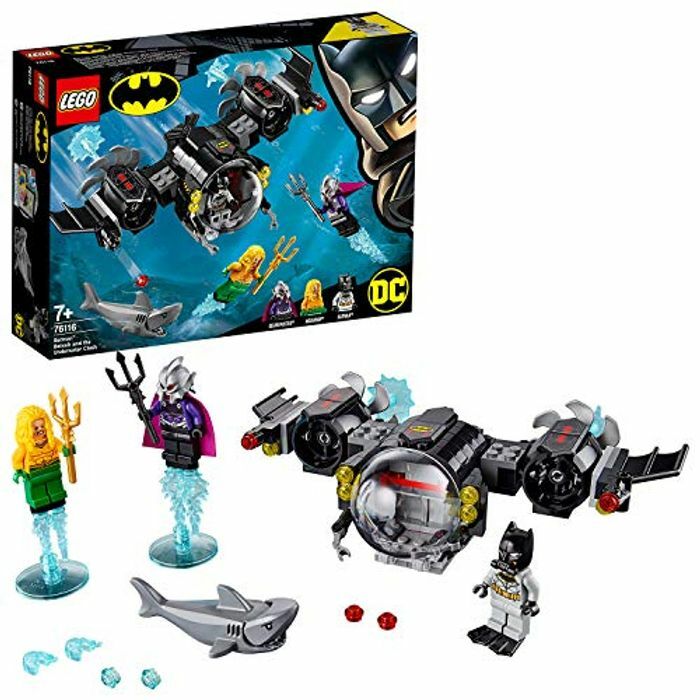 Role-play high-speed battles against Ocean Master with this LEGO DC Batman 76116 Batman Batsub and the Underwater Clash building set for kids. The buildable Batman submarine toy, features an opening bubble-shaped minifigure cockpit, adjustable claws to grab weapons, 360-degree rotating wings, stud shooters, rear rotating propellers and detachable fins to attach to Batman’s feet and use as flippers. This cool toy for kids includes 3 LEGO minifigures with weapons and a shark figure, plus 10 assorted Power Burst elements to customize your builds, minifigures and weapons for unlimited imaginative play.